Someone turned me on to this today for when you need some tags like…right now. (it’s made by one of the all time awesome-smart guys in the the online space). PS: This by no means comes close to my man Mojojojo-jambalaya’s personalized “complete tag-oscopy” service. Which I’ve used and highly recommend when you seriously wanna get in there in your niche. @MojoJojo I think I’ve accurately described the ‘depths’ of your service. Didn’t understand that first .gif until I used it. Damn that’s an accurate gif. 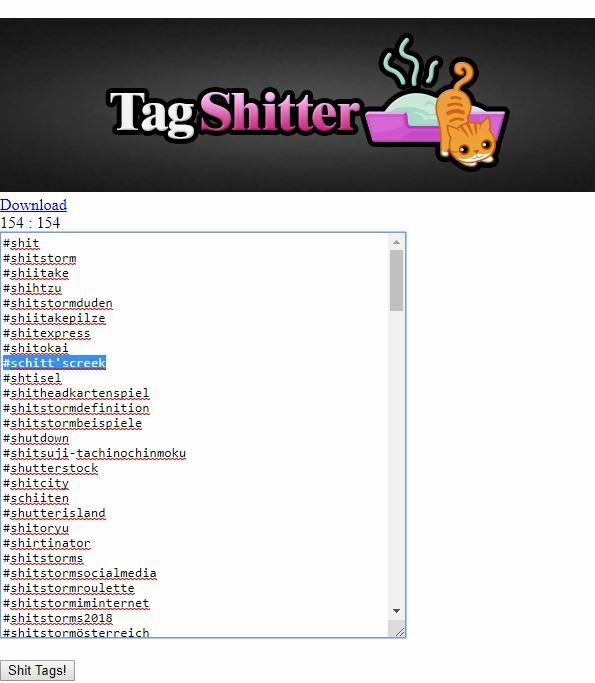 What is this “tagshitter” about? It gives you tags which contain the letters you enter. I think I’ve accurately described the ‘depths’ of your service.